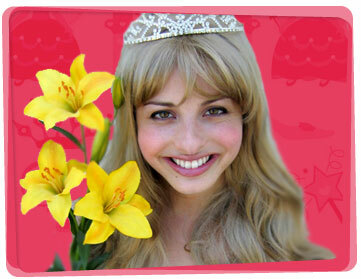 If you would like to hire a princess for a kids themed birthday party, then our Yabadoo Princesses on the Gold Coast can make that wish come true. Our handpicked Princesses know how to bring a party to life with a whirlwind of fun party ideas that are sure to delight such as a magic show, face painting and more (view our packages). Every princess wants to wave their wand around and shower the kingdom with love so why not buy a Yabadoo wand to hand out to all your guests so they too can cast a spell during the show. We have great characters, super awesome activities and over 18 years experience. Now we just need your event! Our Princesses for hire on the Gold Coast can perform for all types of occasions.When not at work our princesses can be seen feeding their pet dragons, getting a manicure and going for a ride in a pumpkin.